White Castle (Cadw)0300 025 6000work CastlePowerful round towers guard the heart of the castle. 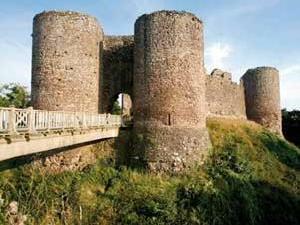 White Castle is the best preserved of the Three Castles, namely, White, Skenfrith and Grosmont. The heart of this castle is surrounded by powerful round towers.